Caramelize the sugar in a stainless steel pan. 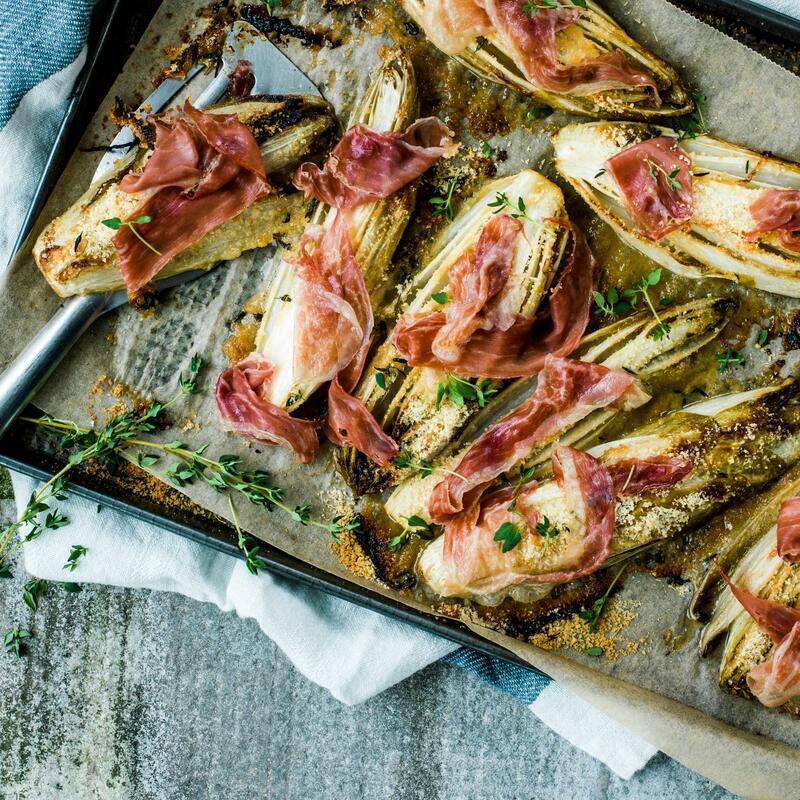 Stir in the butter, halve the chicory lengthwise, add to the pan, turn the chicory in the caramel, transfer immediately to a baking tray lined with baking paper. Drizzle with the lemon juice, season, mix the breadcrumbs, parmesan and thyme, sprinkle over the chicory. Roughly shred the ham and scatter on top. For 15 -20 mins. in the upper third of an oven preheated to 220°C. Garnish with fresh thyme before serving.